If you follow me on instagram, you know I love flowers and buy them for myself often. 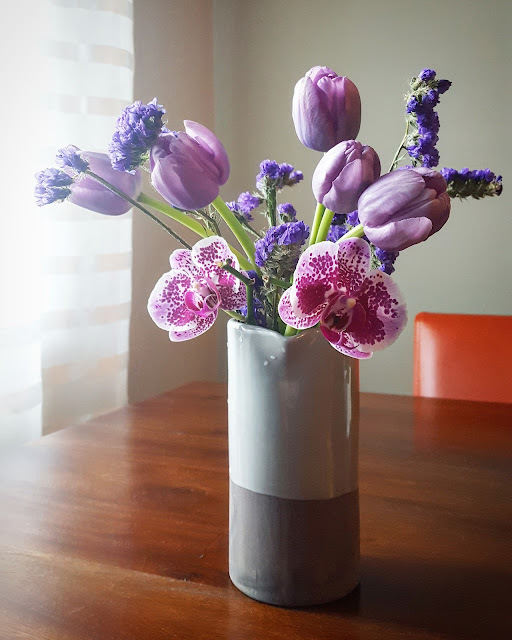 Last night as I was trying to fall asleep, I was thinking about random flowers I had in my condo and how I could combine them into an arrangement by color. Ta da: purple beauty!